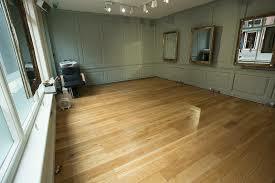 Floor sanding finishing Ipswich Antonio Giovanni hairdressing. 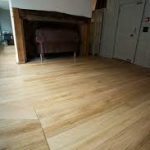 Sandskill have recently completed a floor sanding finishing Ipswich at a the wood floor restoration project at Antonio Giovanni in Ipswich. 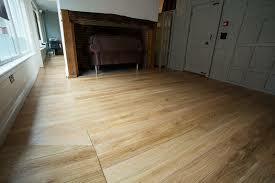 The floors was a junckers Oak floor and as you can see got really badly worn around where the chairs were. We sanded the flooring back to bare wood, up to a smooth finish and applied three coats of Junckers HP commercial polyurethane floor lacquer. Out of hours work to get Business looking good with minimal disturbance. As you can see from the photos the difference after the sanding work was carried out was amazing. 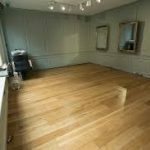 Good thing about wooden floors is, after a lot of foot traffic and wear like at this shop, the floor come up like new again once sanded. 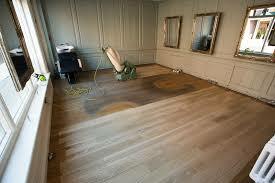 Most floors can be sanded three to six times. Please contact us here for an no obligation quotation.